Discussion in '3fvape.com' started by 3Fvape, Jan 29, 2019. Today, please let us introduce you to a newly released product. Let's check some information about the Ulton Nduro N[Duro] DL RTA Clone. The Ulton Nduro N[Duro] DL RTA Clone is a 24mm rebuildable tank atomizer with 5ml of juice capacity. It is constructed from 316 stainless steel and aluminum alloy. 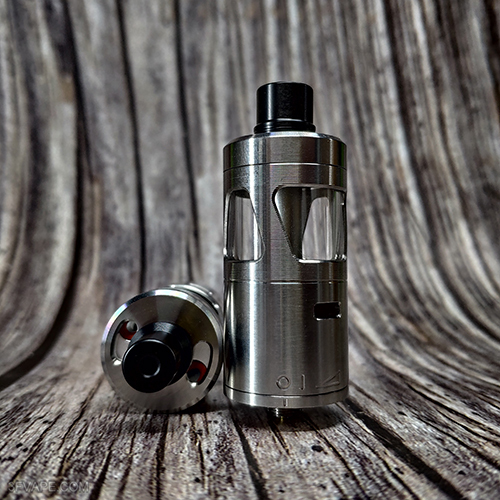 The RTA features postless build deck for single coil and direct lung designed structure for DL vaping. This item also has Version color to choose. The Ulton Nduro N[Duro] DL RTA Clone is in stock now. This item also has other Version to choose.